Working while you’re still in college can give yourself real-world work experience, a quality that makes students far more desirable in the eyes of employers. However, working part-time and going to school is no easy task. It is quite a challenge to balance work and school, not to mention trying to make room for other people in your social life. But, with enough planning, hard work and discipline, anything is possible. Here are nine tips to help you balance work and school. To make it easy to digest, I’ve broken down these tips into three categories: scheduling, performance, and recreation. First things first, buy a calendar and a planner. These will help you exponentially when it comes to planning for the week, and even the month. Having a precise, organized and written schedule will make your life vastly easier as you decide when to fit in your week’s homework around your class time and shifts at work. It’s also important to keep your schedule quite flexible. If and when things come up, such as crises at work, challenging assignments, or last-minute errands, you will want to be able to shift your homework around to a more accommodating time. Having a routine is more than just having a schedule. It’s your daily regimen that determines how your day will go from start to finish. Waking up early at a consistent time, as well as going to bed at a regular time, are two fantastic ways of starting your routine. Your circadian rhythm will be in a great spot, and your body will thank you for it. Waking up naturally, fully-energized, before your alarm clock goes off will do you wonders, and it’ll go a long way for your productivity for the rest of the day. From that point on, it’s important to be consistent when you complete your homework and accomplish other activities. Remember: Repetition is key. The hardest part is to avoid procrastination as much as possible. Believe me when I say how easy it is to get distracted. I know first-hand how tempting it is to avoid doing the task at hand as much as possible. However, it’s crucial not to let those distractions overtake your work ethic. One too many interruptions from your work can hinder your performance, slowing your work down to a crawl. An assignment you should have completed in one hour now takes twice as long. This means, you have less time for your other projects, which can significantly reduce the quality of your assignments. Find a quiet place to study where there are no noisy distractions around to bother you while you complete your work. With a good study space, you get to focus all your brain power on the task at hand. However, I admit that being alone in a quiet, undisturbed corner can be just an uneasy as a place filled with lots of noise and distractions. That’s why I recommend a place where other people are also looking to sit down and get as much work done in a set amount of time as possible, such as a library or coffee shop. Being able to take notes that effectively go over the key points and details your professor discussed in class will go a long way to your success while studying. Being able to write legible, concise and organized notes will help you exponentially when reviewing your notes for exams and papers. This means studying for exams will be far more efficient, which is good considering that your work presses you with what little time you have. A good relationship with your professors can be a great asset given your time constraints and busy schedule. Professors are there to help you when you don’t understand the current material in class, so it’s only in your best interest to use them. Having a good relationship with your professor also means that if work or some other issue pops up and prevents you from completing an assignment or taking an exam, you can come up with a compromise with your professor and solve the problem. One of the best and healthiest ways to deal with lots of stress is to be physically active. Working out is a great way to keep the body moving and the blood flowing, especially if you are spending all day sitting at work, in class, and while you study. Working out is also great for your physical health, which goes in tandem with your mental health. And the endorphins and other chemicals your body releases, while you work out, are known to reduce depression, stress and anxiety. Eating the right foods is also a significant part of reducing stress. The right combination of healthy foods is known to relieve the body of pressure and help energize the body for long periods of time. Try to stay away from saturated fats and junk food, no matter how tempting they may be to eat. Foods such as fruits, vegetables, unsaturated fats, and lean proteins are better for you. Sleep is critical for your health, and is probably the most important thing on this list that will help you stress less. I cannot even begin to describe just how important rest is. Sleep is how you recharge your “batteries,” more so than food and exercise. The amount of sleep you get (and not how much coffee you consume) will determine your performance for the rest of the day. In fact, studies show that lack of sleep can be hazardous to your well-being. So, how much do you need? The National Sleep Foundation recommends between 7 to 9 hours of sleep a night for those between 18 to 25 years old. A Stanford study found that 10 hours of nighttime sleep helps college athletes reach their peak performance. So, be sure to manage your schedule and get enough sleep. In conclusion, while balancing work and school is a challenge, it is by no means impossible. With the right amount of discipline, you can become a machine when it comes to the way you work, study and live your daily life. If you follow these steps, you will have no problem dominating in your job and your studies. Good luck, workaholics! Robert Morizio is a student at the College of the Holy Cross in Worcester, Massachusetts. 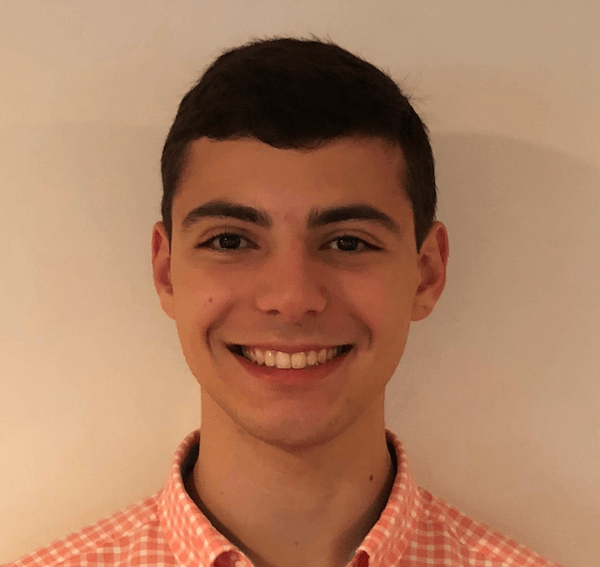 Robert was born and raised in New York, and enjoys a variety of interests and activities ranging from writing and music to travel and skiing.